Devotees of Rosalie Ham’s output usually must wait at least five years before pouncing upon the latest offering. 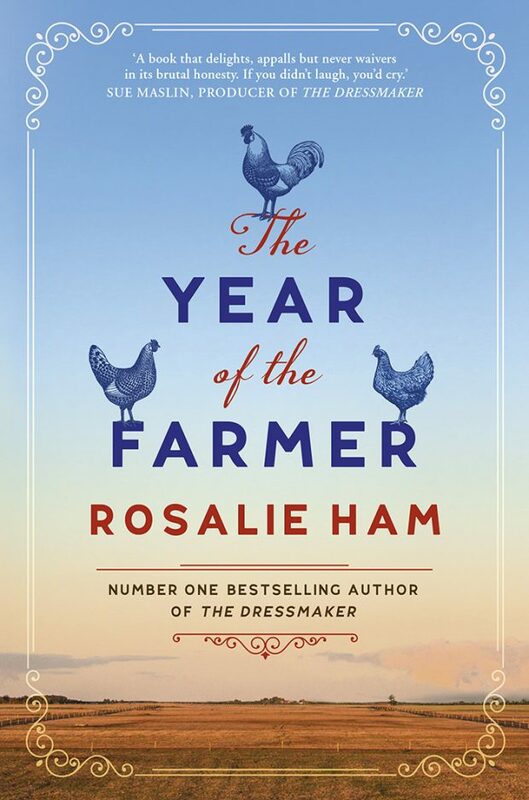 The Dressmaker was published in 2000, Summer at Mount Hope in 2005, There Should be More Dancing in 2011 and, finally, The Year of the Farmer in 2018. The latest novel reminds the reader of Ham’s uncanny ability to accurately portray a small community beset by internal squabbles. Drama of Shakespearean levels, abject deceit, God-like hope at the end and both villains and heroes getting their, mostly, just desserts. The dry, laconic Aussie humour throughout is thoroughly enjoyable for the reader. This present-day novel is set in an unnamed western Victorian country town, population 400. Its main industry is sheep and cattle, all heavily reliant upon Mother Nature sending rain. The locals are split into farmers, town dwellers, ferals, local business owners and representatives of the state Water Authority (the latter being the town’s general enemy). Mandy, five years ago, managed to snare and marry the most eligible bachelor around, inciting the ire of everyone else. Finding her marital status has not changed the town’s opinion of her one bit, the lives of her husband and father-in-law are rock bottom miserable. To top it all, the region is in drought, with the corrupt local Water Authority officers trying to scam water rights off the farmers. In the middle of this, the town’s nicest girl (and childhood love of Mandy’s husband) returns home to run the pub, and inadvertently starts a war. At 323 pages, this novel is the meatiest of Ham’s output to date; the story goes on for a satisfying long time and is, to this reader’s mind, the most fulfilling. However, when the local swimming hole is drained (in the Epilogue), a human skeleton is found, and there the story ends. Dammit.